Single physical connection to one internet backbone carrier only. 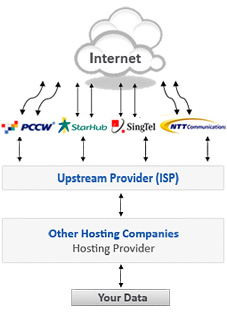 It claim to be multi-homed as the backbone carrier are surely connected to other providers at some point. It remains a single point of failure. On a single-homed network, if something goes wrong and the internet service provider connection shuts down, all of the connections related to it will go down with it. On a multi-homed network however, a failure on one end can easily be fixed because the traffic will automatically be re-routed into the other available networks it is directly connected to. 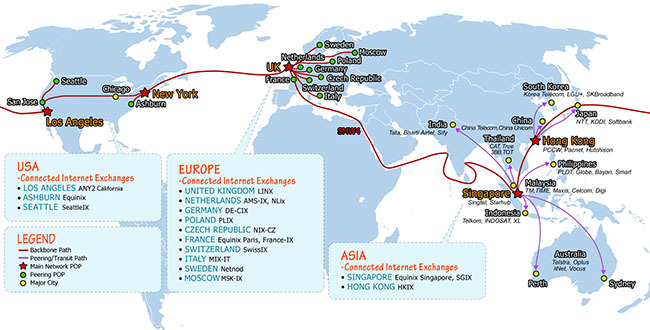 Is your network multi-homed and physically connected to a tier-1 ISP carrier? • Purpose: A company can claim to be multi-homed by having a network with an upstream provider that has the actual physical connection to tier 1 ISP carriers, but on their own does not have that connection. Do you have more than 2 tier-1 ISP carriers? 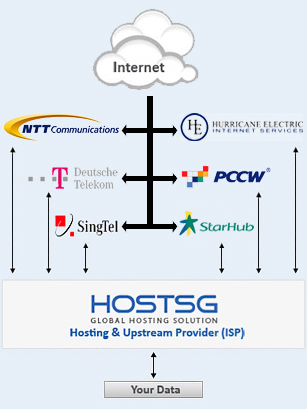 • Purpose: to see companies that only have 2 physical connections to tier-1 ISP carriers (dual-homed networks) that refer to themselves as multi-homed. The network quantity means how many paths your data can use to reach the vast amount of potential clients and viewers across the internet. The network quality means how fast the data gets to your potential clients and viewers across the internet in view considering the potential traffic. Overall the network quantity and quality is essential in getting your brand reach as widely and as robustly as possible. How varied and how wide-reaching is your host provider's network?